Refrigerators are built to last, but that does not mean they will last forever. At some point in your lifetime, you will likely be faced with the responsibility of replacing an old or defective refrigerator with a new one. In fact, this impending task may come sooner than later if your refrigerator is already shows the tell-tale signs. 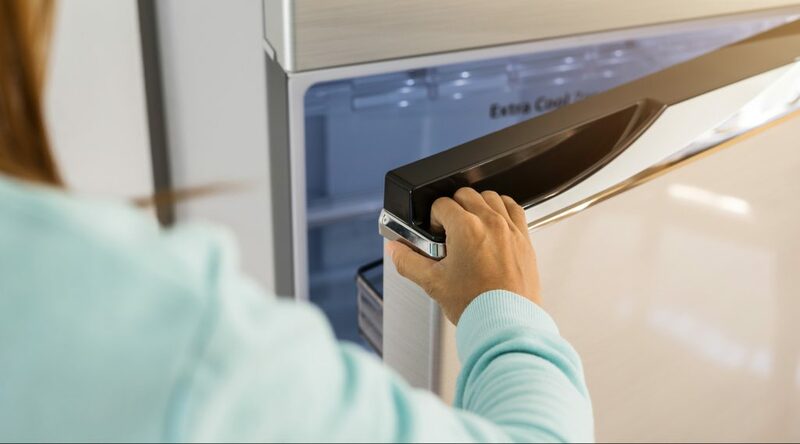 Continue reading to learn the top 6 most evident signs that tell you it’s time to buy a new fridge, as well as, how to make the most out of your old one. If your refrigerator is showing just one or two of the following signs, it is recommended to have it inspected by an appliance repair company to be sure replacement is necessary. You might just need a part replaced, or a minor repair. On the other hand, if your refrigerator is showing more than a couple signs, it is likely that replacement is the best option. A loud refrigerator can be an indication that the motor is constantly running. If this is the case, it could be that the motor is defective. It may be trying too hard, or having trouble operating. Unplug the refrigerator and then plug it back in to see if the noise stops. If it doesn’t, your fridge is failing. If your refrigerator develops a lot of condensation inside or outside, it could be the result of a defective cooling system. However, it could also just be caused by a faulty door seal. Check to see if the edge of the door is intact, and replace it if it seems warped or dislodged. If this is not the issue, then it could be a broken cooling system. If you touch the back of the refrigerator and it feels hot, not warm but hot, then it could be a motor malfunction. The refrigerator motor is located in the back, and when it is having trouble operating, it overcompensates, which causes the exterior of the fridge to feel hot. Keep in mind that a broken refrigerator motor is a costly part, which means that you are probably better off buying a new one in this case. If you notice that produce is wilting faster, contained food is spoiling too soon, and your beverages are not cold enough, your refrigerator could have an issue with its temperature control system, or its power capacity. This sign is typical of older model refrigerators. A little frost accumulation in the freezer is perfectly normal, but thick frost buildup is not a good sign. It implies that there could be a problem with the refrigerator’s entire control system. Like spoiled food, this sign is often found in old refrigerators. If your refrigerator is older than 10 years, and it is showing even one of the above signs, it is the perfect time to replace it with a newer model. Not only with this improve the quality of your food and beverages, it can also help cut down on energy costs, and save you money in the long haul. There are several innovative technologies in modern refrigerators that make them more energy efficient, which lowers your monthly utility costs. 4Your broken refrigerator is still valuable…to scrap metal buyers! 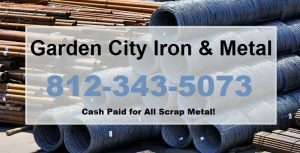 Call Garden City Iron & Metal at 1-888-586-5322 to sell an old appliance in Central and Southern Indiana. We pay cash on the spot for all appliances and metal commodities, including refrigerators, kitchen hood systems, ovens, stoves, dishwashers, washing machines, dryers, and much more! Collect all the scrap metal you can, and then sell it to us for the highest profit in town! Request a free estimate or information, today. This entry was posted in Appliance Recycling and tagged appliance recycling Indianapolis, sell an old appliance Indianapolis, sell broken appliance Indianapolis, sell broken refrigerator Indianapolis, signs broken refrigerator, signs refrigerator replacement. Bookmark the permalink.